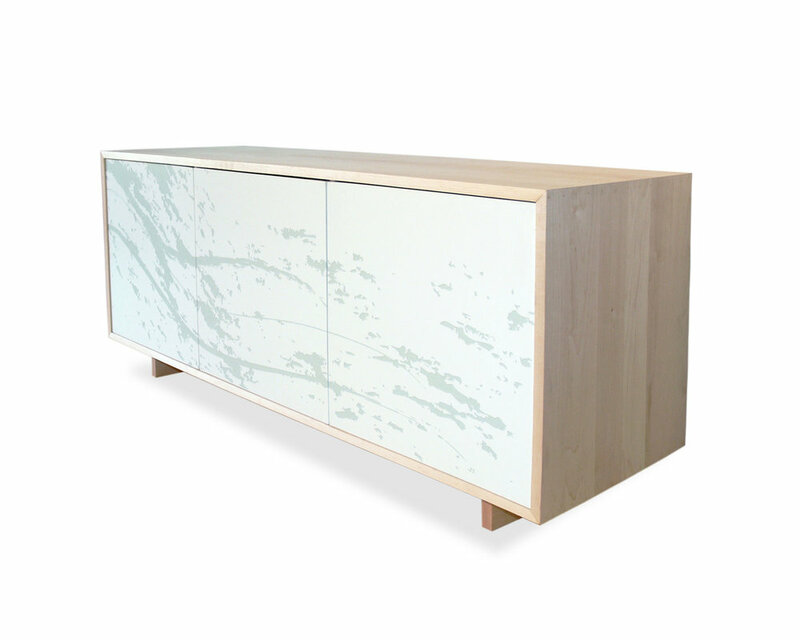 This credenza features three doors with laser-engraved custom art with an inlay. We have two sizes and two graphics to choose from. 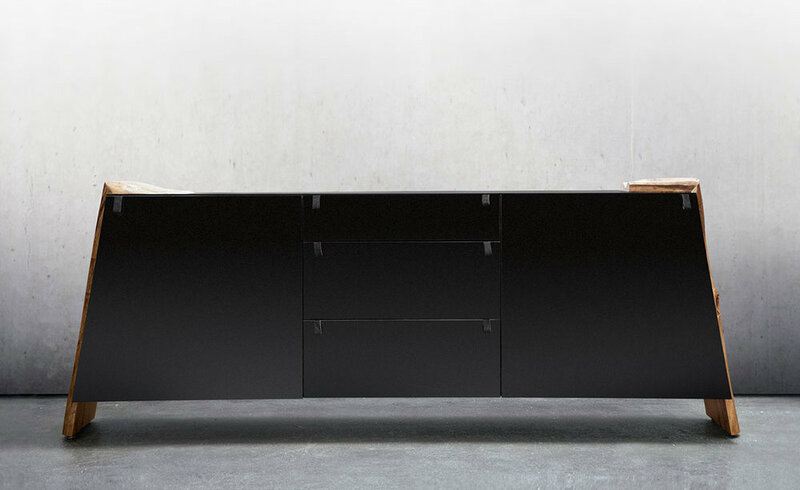 The cabinet opens to store anything from stereo equipment to service ware. Inside there is adjustable shelving. 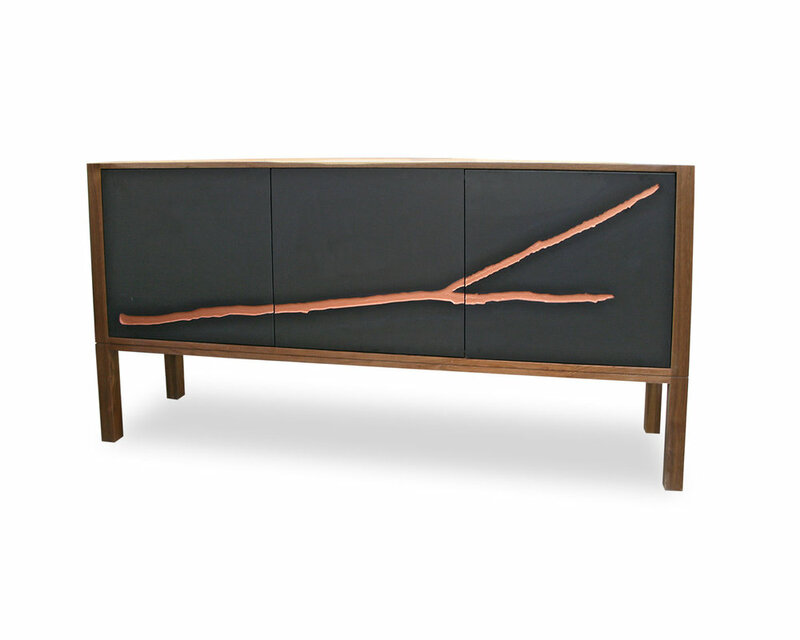 The cabinet is made using locally-sourced hardwoods, including walnut + maple as shown. 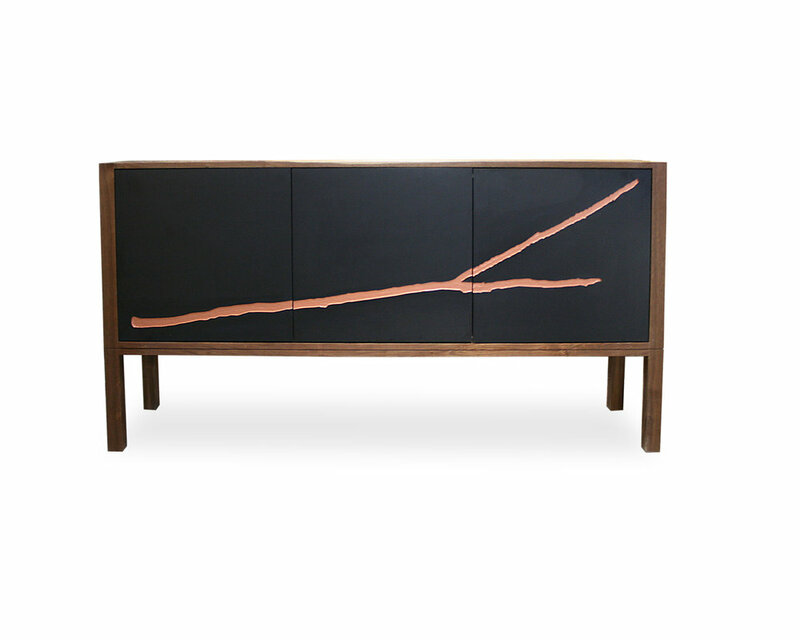 We offer the Neosho in a low credenza or a tall buffet. Both art options are available, as well as all the hardwood choices. Tall: 72" x 36" x 18"
Short: 62" x 26" x 20"